Solms, Germany (September 17, 2012) – Leica Camera presents a new model in the Leica rangefinder system, the Leica M-E. Possessing the high level of technology perfected in the nearly six decades since the M-System’s introduction, the Leica M-E represents the essence of rangefinder photography. Rather than offering all that is technically possible, it is limited to only those functions that create a better image. These essentials include the M-System’s typical rapid manual focusing with the viewfinder/rangefinder and the focusing ring of the lens, as well as the option of selecting automatically determined or manually set shutter speeds. It is the ideal entry-level model for photographers wishing to experience the fascination of M-Photography or require a secondary camera that performs at an optimum level without fail. Advantages of rangefinder photography include the ability for photographers to become a part of the action and frame whatever they wish to capture in the viewfinder, while still perceiving what is going on outside the viewfinder frame. The crucial moment becomes predictable, and can thus be captured at precisely the right instant. Featuring the proven, high-resolution, 18 MP CCD sensor in full 35 mm format, the Leica M-E offers maximum imaging quality. Perfectly attuned to its role in the extremely compact M-System and the superior performance of M-Lenses, this particular sensor type possesses a high sensitivity to light. These characteristics lead to an unmistakably individual kind of photography. The Leica M-E’s most distinctive feature is a minimalistic, purist, design statement. The top deck and base plate are discreetly finished in unobtrusive anthracite grey. The application of a new leather trim with enhanced grip characteristics ideally complements the camera’s timeless design. The Leica M-System portfolio provides perfect tools for capturing a moment discretely, silently and without hesitation, allowing photographers to become a part of the scene. 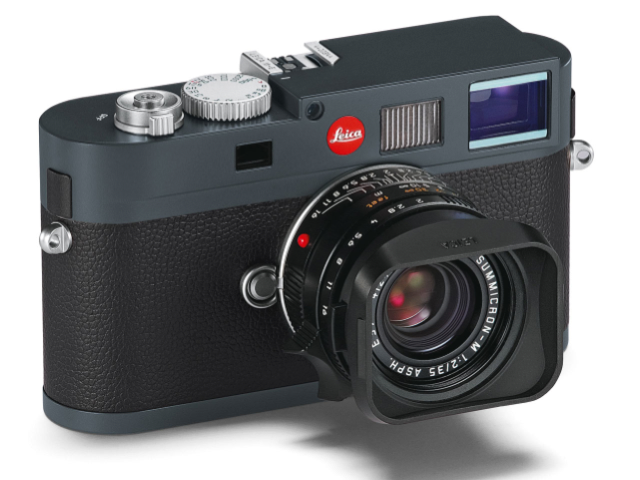 Together with the new Leica M and the Leica M Monochrom, the world’s first digital black and white camera in 35 mm format, the latest digital generation of the Leica M now offers three rangefinder cameras. Additionally, the Leica M-E package includes the latest version of Leica Adobe Photoshop Lightroom to assist photographers with viewing, editing and managing digital images. The Leica M-E is available now from Leica dealers, including the Leica Store Washington DC. @ $5450, what’s another $1500 for the real deal. Who would want to be the guy that got the crappy Leica, when $1500 gets you the good one…I guess I would. Looks like debadged Leica M-9 from 2011 stock ,your right Bradium who would want the 4cyl diesel when for a little more you get the supercharged V8 in cameras , the price is right though , but what are we going to do with all the Left over Nikon D-800E bashed M-9’s ..